In 2012, the European Environment Foundation organised the International Convention of Environmental Laureates for the first time. Renowned environmental laureates from all over the world met for the first time in Freiburg where they discussed essential environmental issues under the convention’s motto “On the way to Rio +20”. 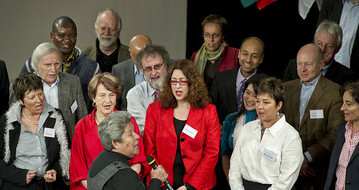 The laureates adopted a declaration in the run up of the Rio +20 summit. 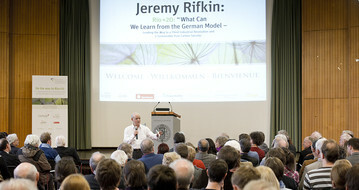 Public Lectures with Keynote Speakers such as Jeremy Rifkin, internal discussion rounds with the adoption of the declaration, and the meeting with pupils, students and young researchers completed the program of the 1st Convention in Freiburg.